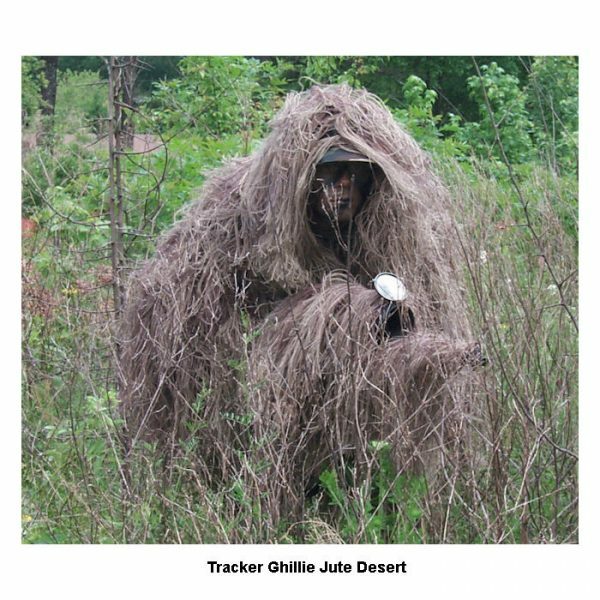 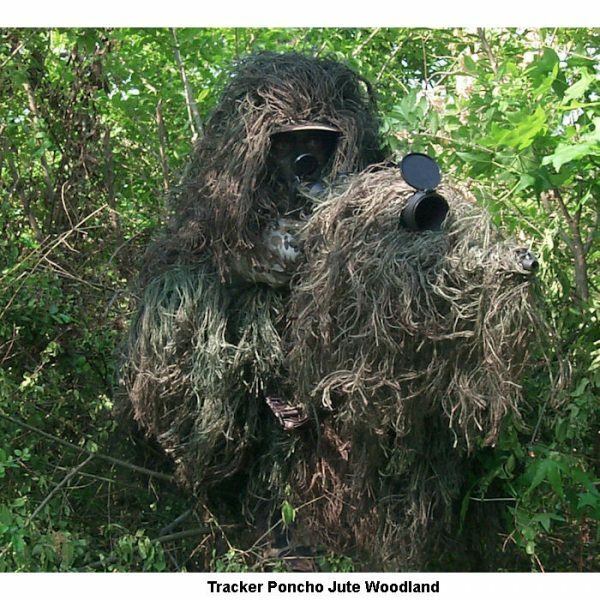 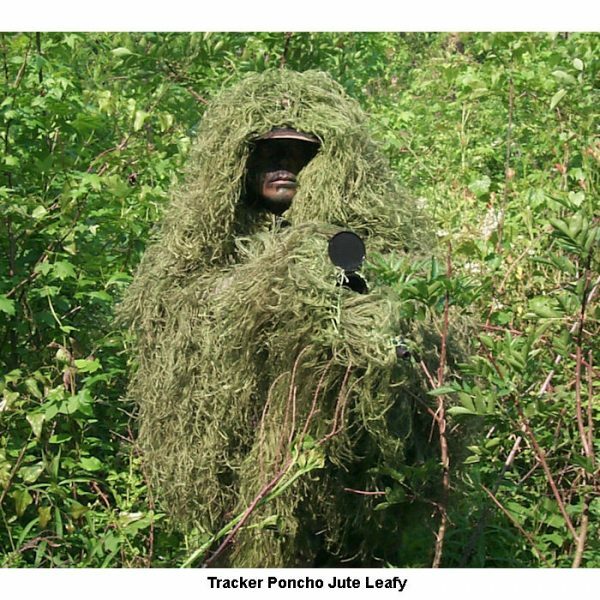 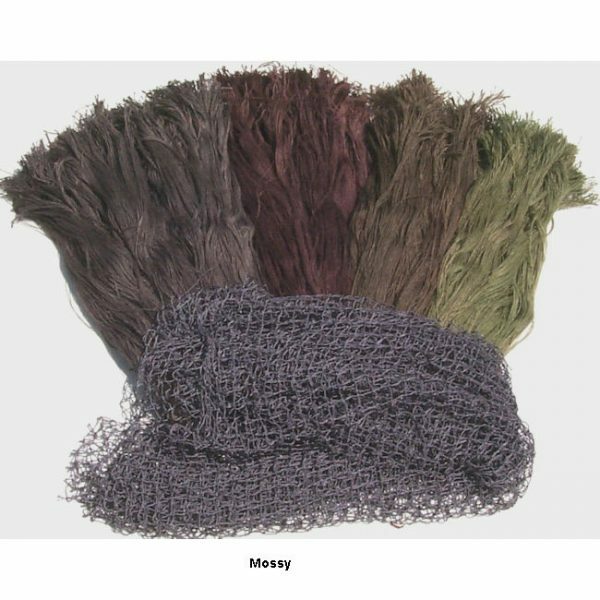 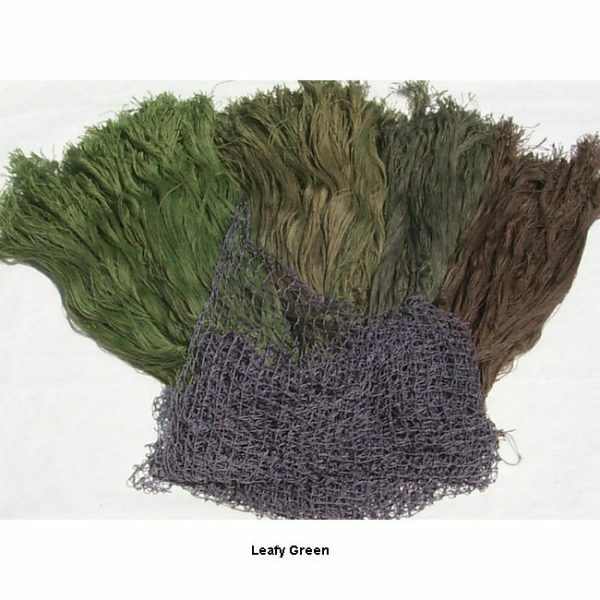 With the Custom Ghillie Tracker Kit you can save money by building the Partial coverage Tracker Ghillie Poncho. 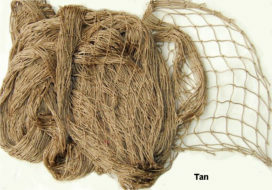 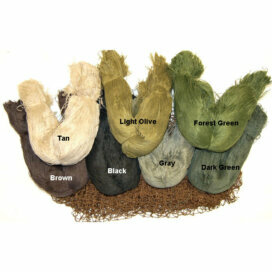 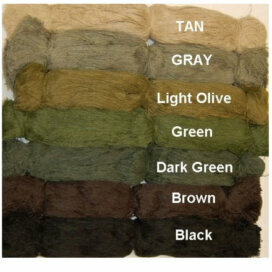 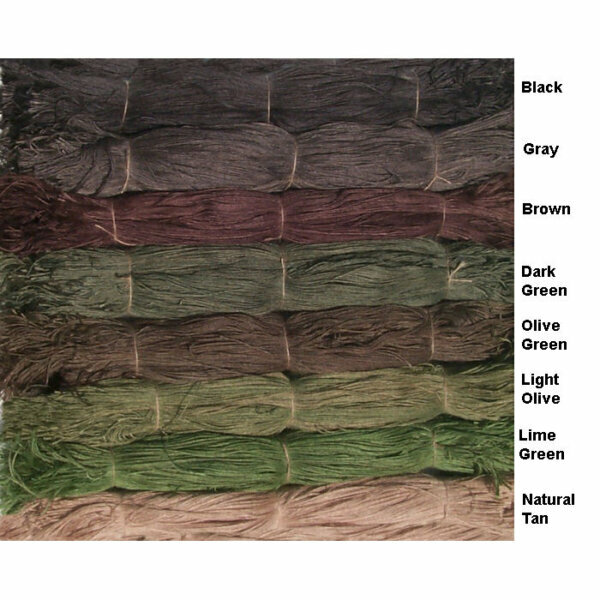 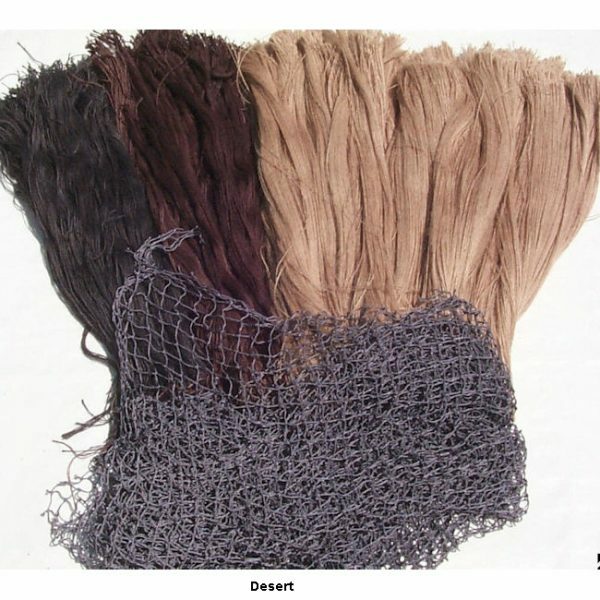 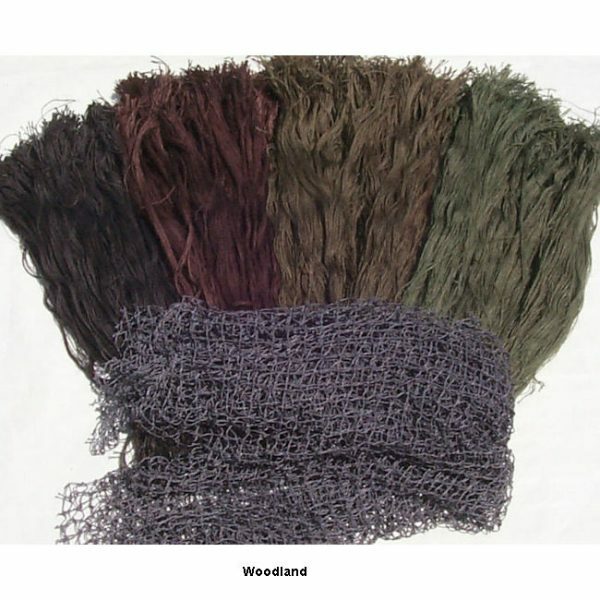 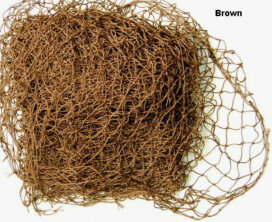 You get to choose 5 colors of our Jute thread to custom match your area. 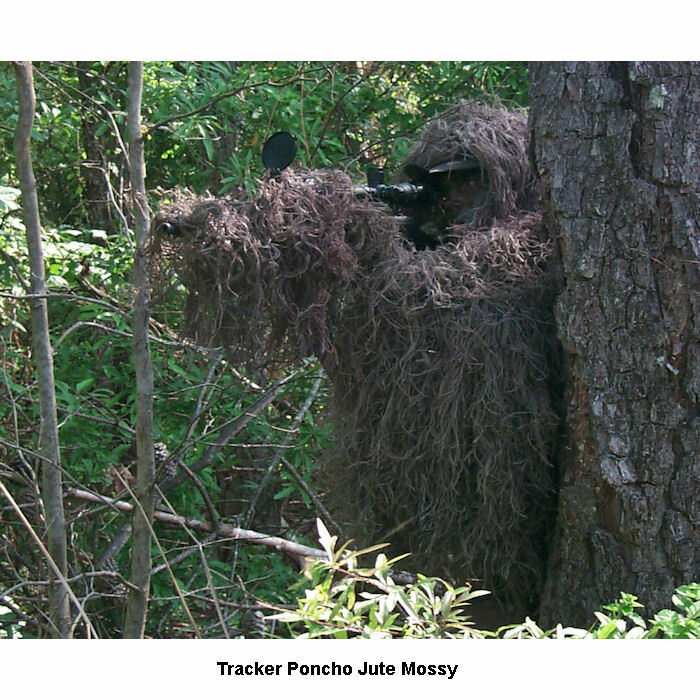 When you are finished the suit will have full sleeves for your arms and an attached hood. 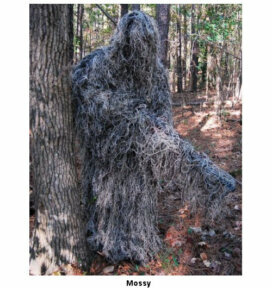 You will be camouflaged from the top of your head down to your waist. You put on the Ghillie Tracker Poncho by slipping it over your head like a t-shirt.